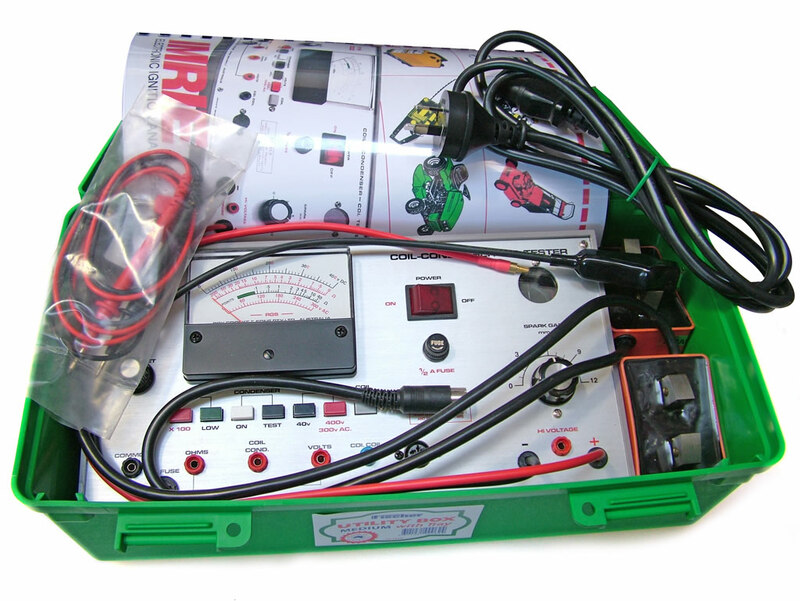 The “Imrie 3000” is designed to meet the engine manufacturers specifications using solid state electronic circuitry for accurate and dependable trouble-free service, to test all types of conventional and electronic ignition systems and other electrical components. 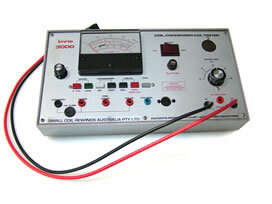 The tester applies simulated working voltages to the individual system and associated parts. This form of testing allows the mechanic to visually observe the actual operating condition of the ignition parts, under load without the engine running, thus ruling out other mechanical engine malfunction (i.e. Carburetor, fuel pump, valves, timing etc.). Test for High voltage leakage from H. T. coils, leads and Plug caps etc. Breaker Points testing, used for static timing of Magneto ignitions. All resistance testing, 0-20,000 ohms. Test for “Volt-drop” in starter motor and charging circuits. 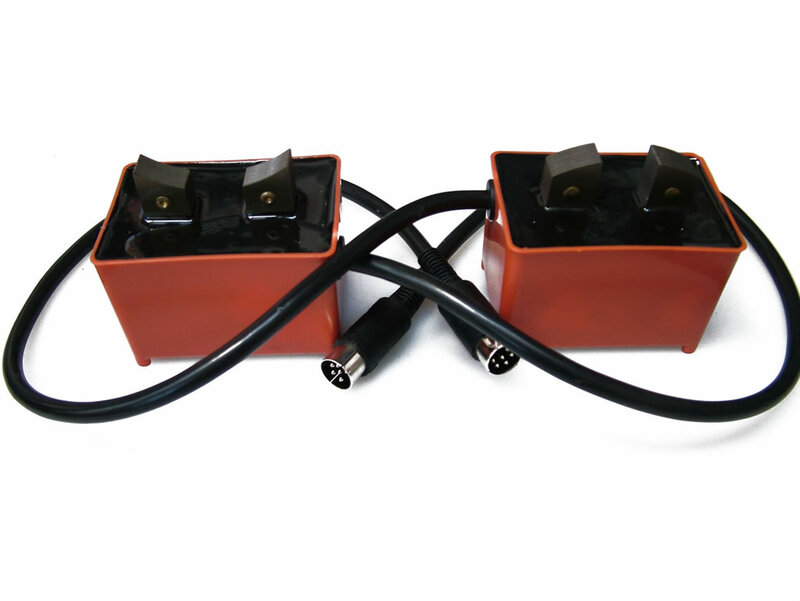 Peak voltage testing of Charge, Exciter, Pulse/Trigger, and Sensor coils. Checking output from portable generators. Battery charge rate, etc. etc. RRP: AU$800 + AU$100/per simulator. 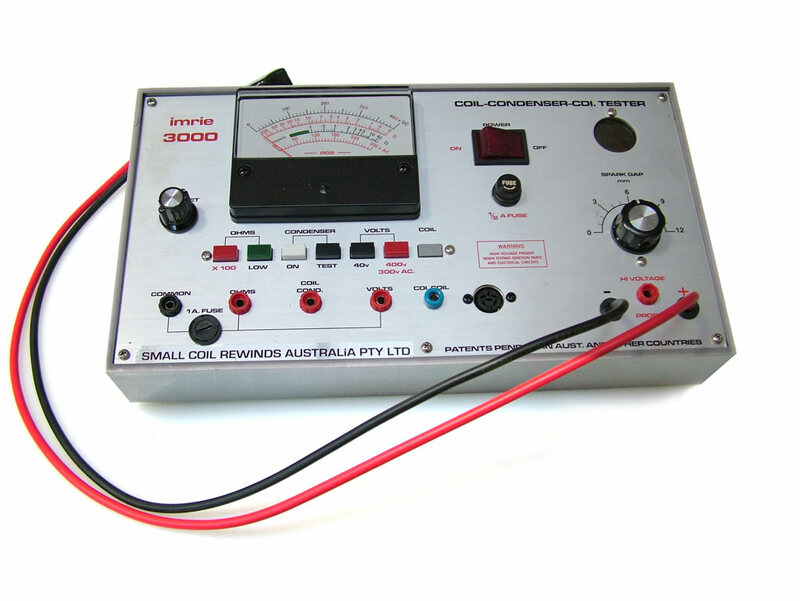 The Imrie 3000 is available for direct manufacturer purchase through Small Coil Rewinds in North Geelong, Victoria. Australia. Durst Motor and Electric Industries Pty. Ltd.
Glebe, New South Wales. Australia. Parklands Power Products (Australia) Pty. Ltd.
Riverwood, New South Wales. Australia.